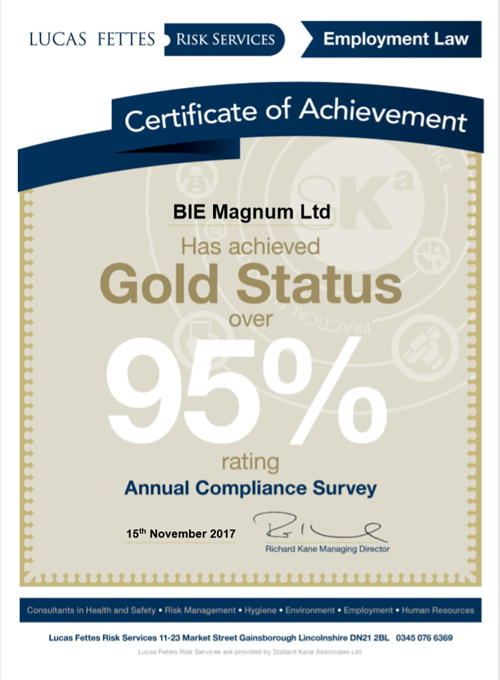 BIE Magnum Have Struck Gold! We are proud to have been awarded a GOLD certificate, scoring over 95%! Lucas Fettes & Partners offer guidance on a range of risk mitigation techniques, and work with strategic partners to provide a full procurement service including managing health and safety, employment law, absence, and business continuity.